The Microsoft Edge is a web browser designed to work with the new Windows 10 operating system (OS). And like any other browser, it keeps caches of web pages that you frequently or previously opened. A web cache is useful when you visit websites again as it aids in loading the pages faster. However, since files stored in your browser’s cache take up space, clearing it once in a while can help you free up space to optimize the performance of your computer. 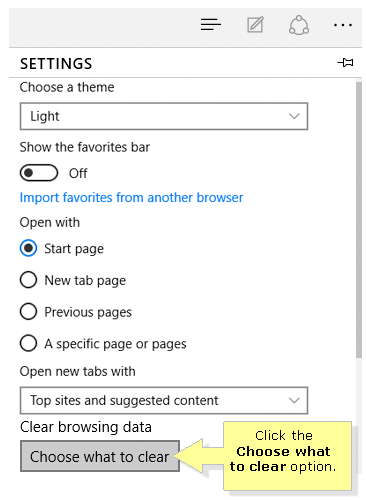 This article will give you instructions on how to clear the cache of your Microsoft Edge browser. Launch the Microsoft Edge browser by clicking the icon. Click the More actions option located at the upper right corner of the browser. Click the Choose what to clear option. Check the Cached data and files box, and then click Clear.